I was 14 years old and in attendance at this game. The Red Sox played the Yankees. My dad, mom, brother and I were sitting on the third base side about 20 rows from the field. Yaz was hitless in this game until his eighth-inning single. His hit went passed Yankees 2B Willie Randolph. The hit was not particularly hard; I always thought that Randolph let it go through. Incidentally, I remember that my dad had tickets to a bunch of games toward the end of that season with the hope that we would see Yaz's 3000th. 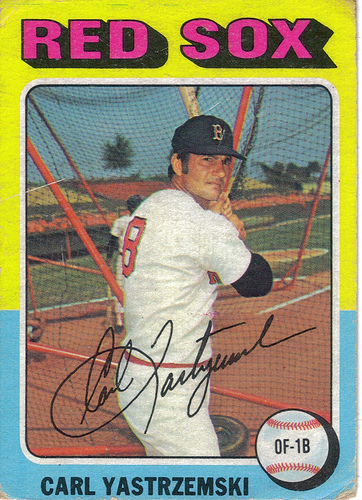 Yaz went into a hitting slump late in the season, and he was hitless in all the prior games that we had attended. This game was the last one to which we had tickets, and Yaz's hit came on his last at bat for this game. We were very lucky to witness it!